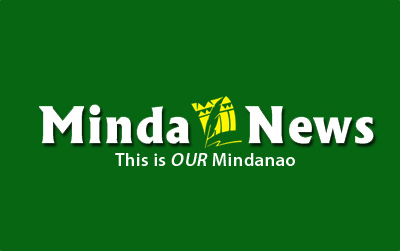 MALAYBALAY CITY (MindaNews/20 July) – Bukidnon Vice Gov. Jose Ma. R. Zubiri Jr. admitted to “lapses in management” in approving the releases of certain funds during his term as governor, but denied that irregularities attended those transactions. The Commission on Audit-Region 10 is investigating a graft complaint against Zubiri filed by a group calling itself the Northern Mindanao Concerned Citizens Against Graft and Corruption. Zubiri, who claimed political vendetta was behind the complaint, issued the statement to reporters ahead of the release of the COA special audit team’s final report. But the COA refused to provide a copy of the order for the special audit team and the complaint pending the release of the final report. Hesselinda Valencia, COA supervising auditor, on Friday confirmed via telephone the probe but declined to give details. The probe opened in January this year, sources at the Sangguniang Panlalawigan said. Valencia said the team met with Zubiri and the others involved in an exit conference at the Mulberry Suites in Cagayan de Oro City on July 14. The conference was moved from a venue in Malaybalay City in the morning allegedly due to security concerns on the side of the audit team. 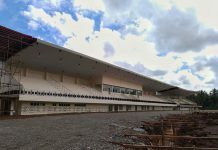 The investigation included alleged fraud in the release of at least P600 million of Bukidnon’s 20-percent development fund from 2007 to 2010, the release of extra bonus to regular employees amounting to P80,000 each, alleged anomaly in the implementation of the Department of Agriculture’s fertilizer program, the management of the province’s health program for indigents. Zubiri denied committing fraud in any of the transactions cited in the complaint which he said he had welcomed even if it was unsigned. He said that when he received the COA letter informing him of the unsigned complaint he wrote back and told the audit body to proceed. He told MindaNews Wednesday the province lost no money in his administration’s transactions. “The money went to the people, not to my pocket,” he added, referring to the development funds he released as financial assistance to Bukidnon’s 464 barangays and the extra Christmas bonuses for Capitol employees. On the development funds, Zubiri said the COA team found the releases were made despite the lack of supporting documents like memorandums of agreement, local resolutions requesting the release of funds for the projects, and programs of work. On the extra bonuses, he said the releases were approved by then President Gloria Macapagal-Arroyo through the Department of Budget and Management. He said President Benigno S. Aquino III also approved last year’s extra bonus. The DBM, he said, approved the release because of the province’s surplus. He said they were allowed because they did not exhaust their limit for personnel expenses. He also denied irregularities in the release of fertilizers from the DA, adding the master list was with the municipal agriculture officers. But Zubiri admitted to some management lapses in allowing the release without the required documents. “I plead guilty for the lapses of management,” he said. He added that for the development funds he was rushing to hand the checks for projects to the barangays. He said he initiated procedures that reportedly saved money for the province like construction of cheaper school buildings. “But I’m not perfect. I am not God to have no lapses (in management),” he added. He challenged his detractors to find proof of their allegations. “If you can find an iota of evidence then I will voluntarily resign as vice governor, and proceed to detention even without due process,” he said.